636 Gillespie Street, Dobson, NC.| MLS# 913920 | North Carolina Farm and Vineyard Specialist Patria Properties Inc.
Large classic home boasting of 4-5BR's(large laundry room now occupies the 5th bedroom! 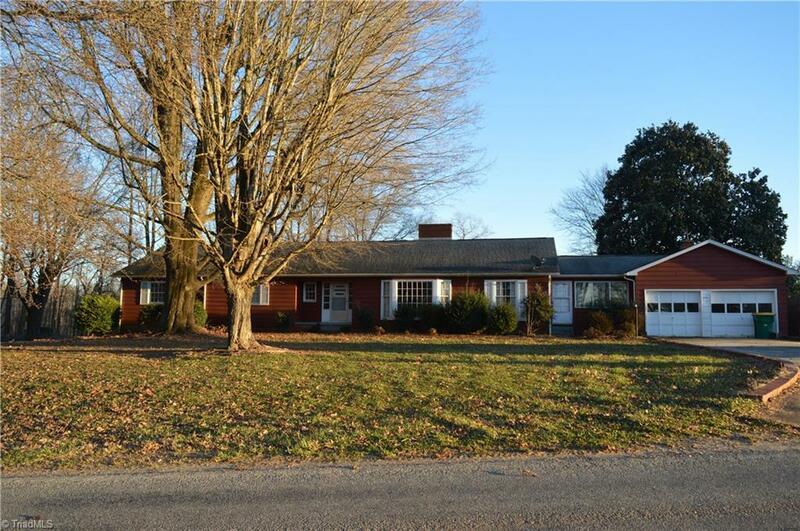 ), full basement with another finished out room bathroom and lots of space, 4 stall horse barn, fenced pasture on 4.2+/- acres, hardwoods, some tile floors, heated breezeway with tile connects 2 car garage to home, lots of charm and character here! Heat Pump central air with oil back up, Close enough to town, but with the feel of the country...mountain view out of front window! Call Today! Selling Office: Rogers Realty & Auction Co., Inc.